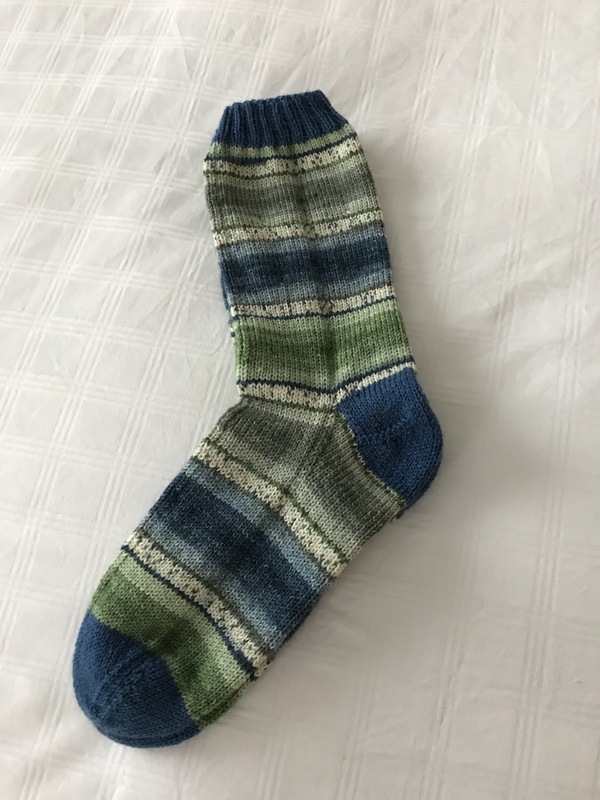 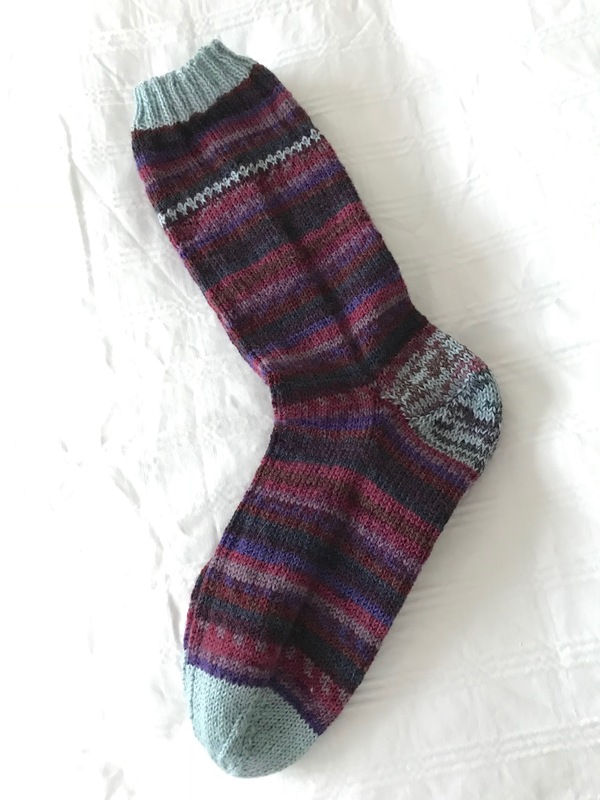 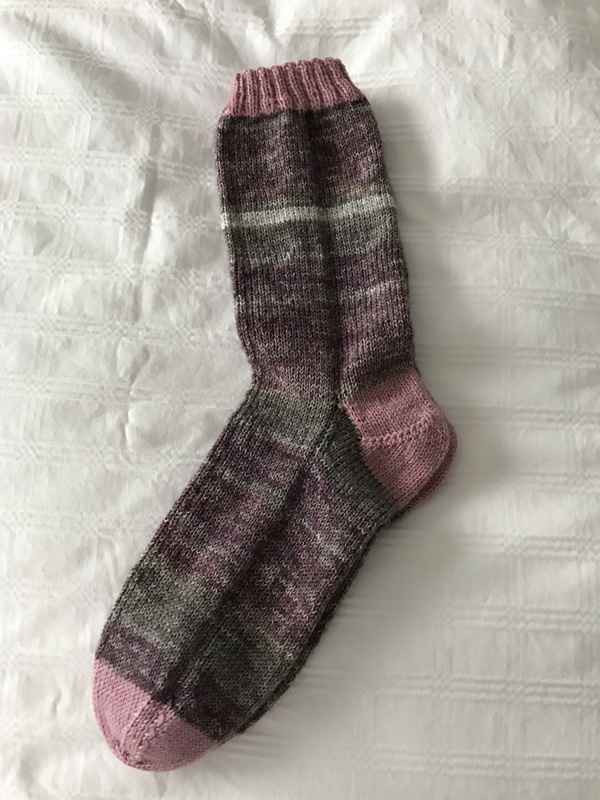 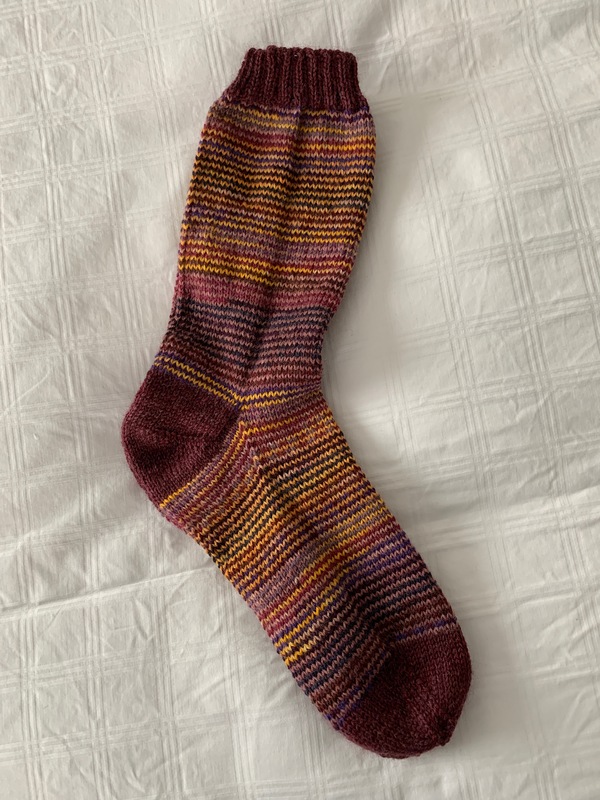 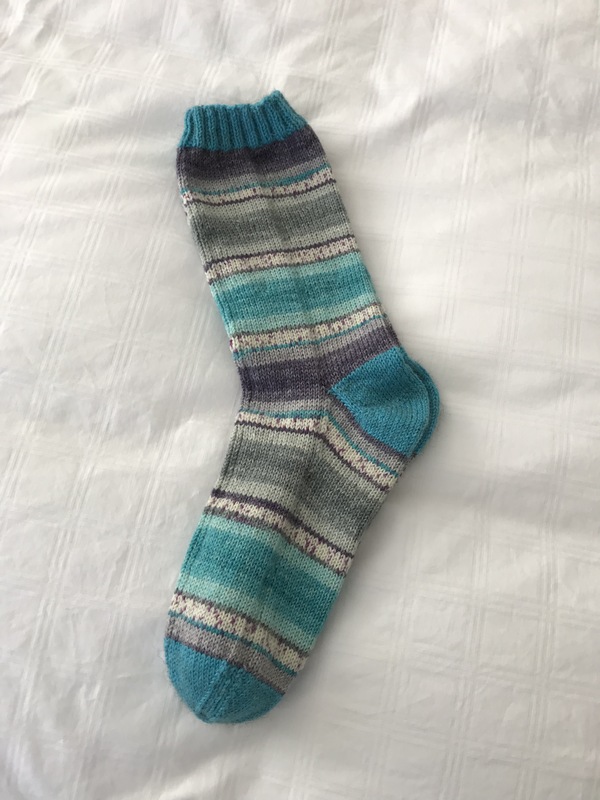 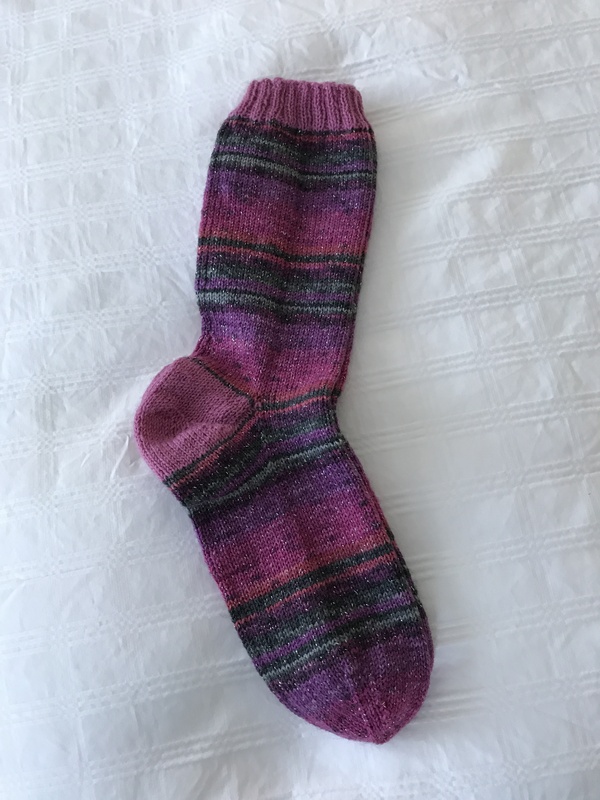 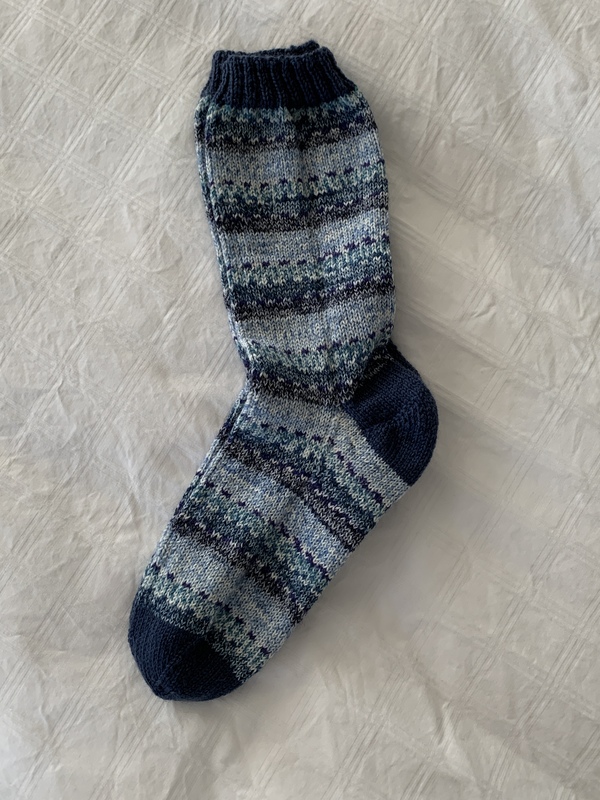 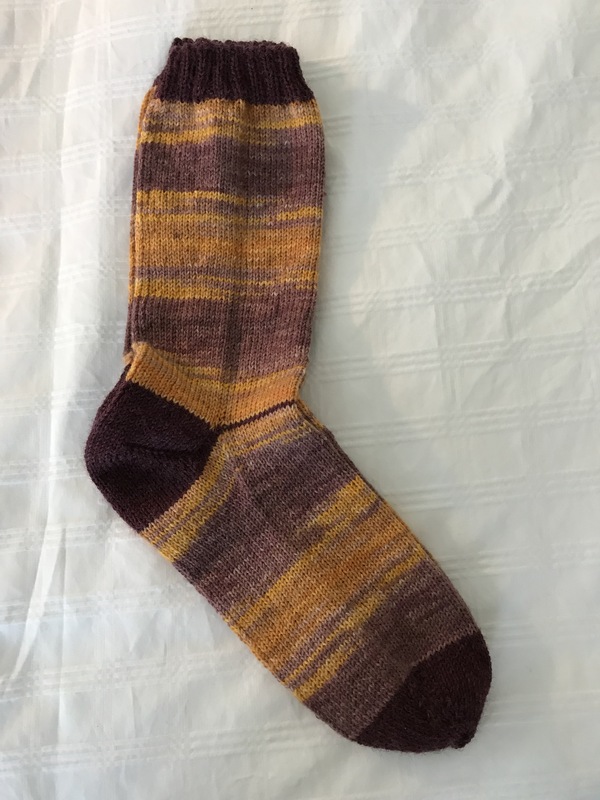 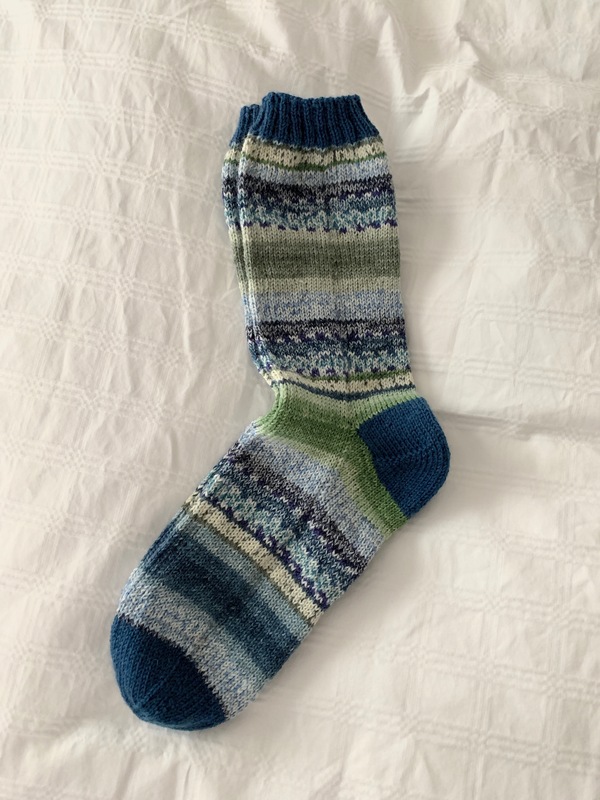 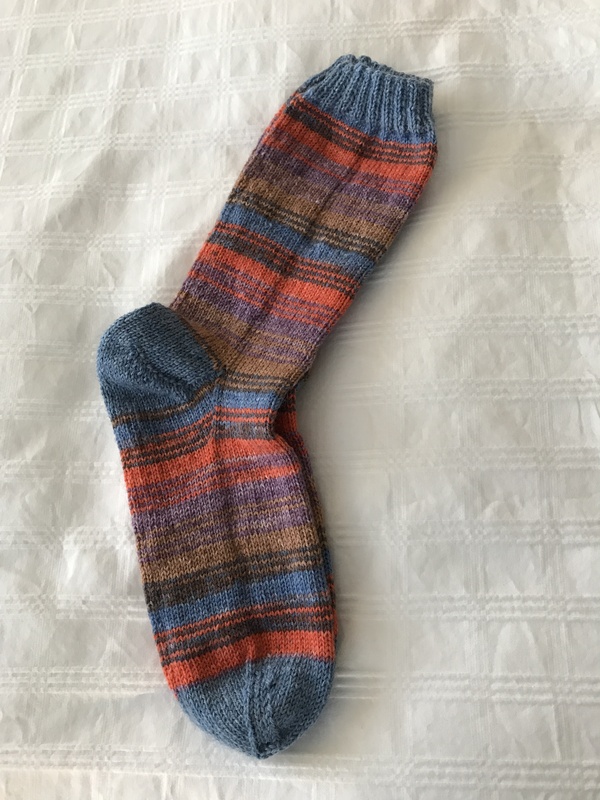 You’d never know this pair of socks was knit from leftover yarn – the two sparkly yarns blended perfectly and I had exactly enough to do two complete pattern repeats on two socks! 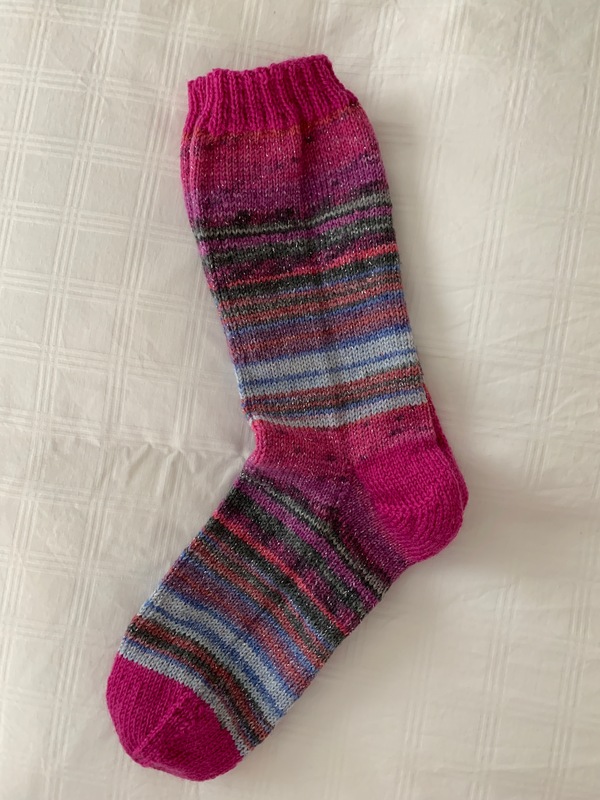 I admit I divided up the yarn before I started knitting so I had some idea how much to knit using the first yarn before switching to the second. 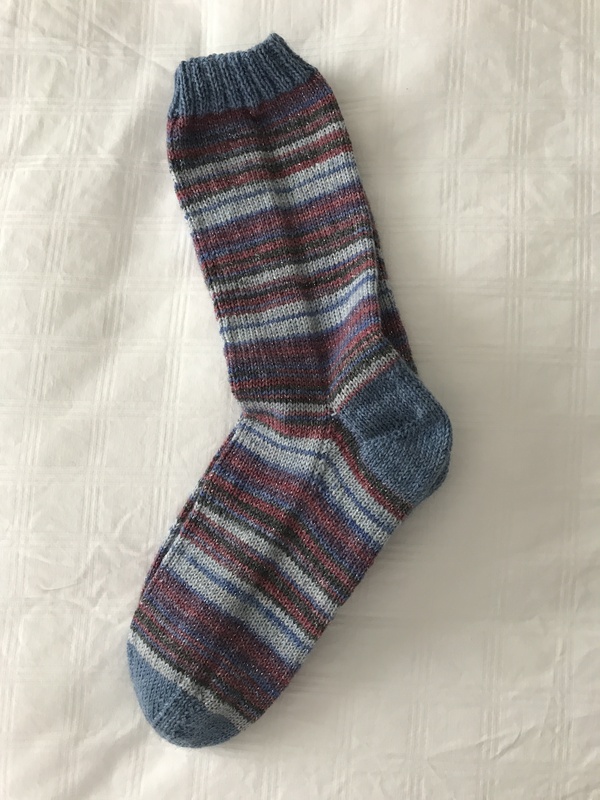 IN this case the colours were very similar so you have to look hard to figure out where one yarn ends and the second begins. 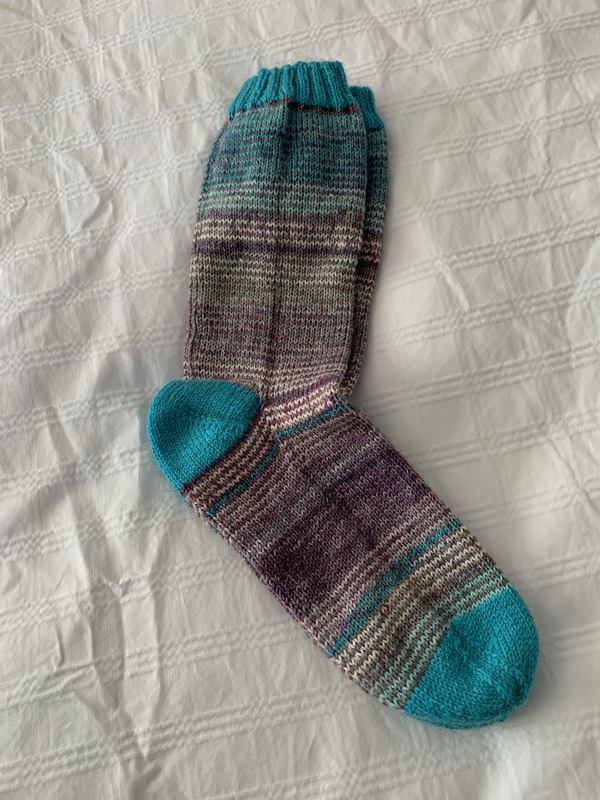 No more sparkly yarn in my stash, however; so that’s the end of the sparkly socks!